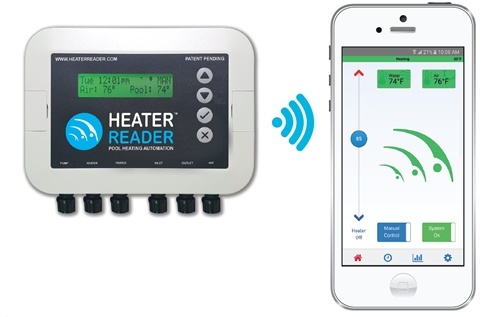 The HeaterReader™ is a smart wireless automation device that gives you control over your swimming pool's heater and pump, from anywhere in the world, using our IOS or Android mobile app or from your computer. Installation of the HeaterReader™ is less costly and less complex than other currently available devices. In fact, it only takes 30 minutes to install* and it can be installed inside or outside! It is also the only device that will send you emails and notifications to let you know when your equipment is running or when something is wrong. 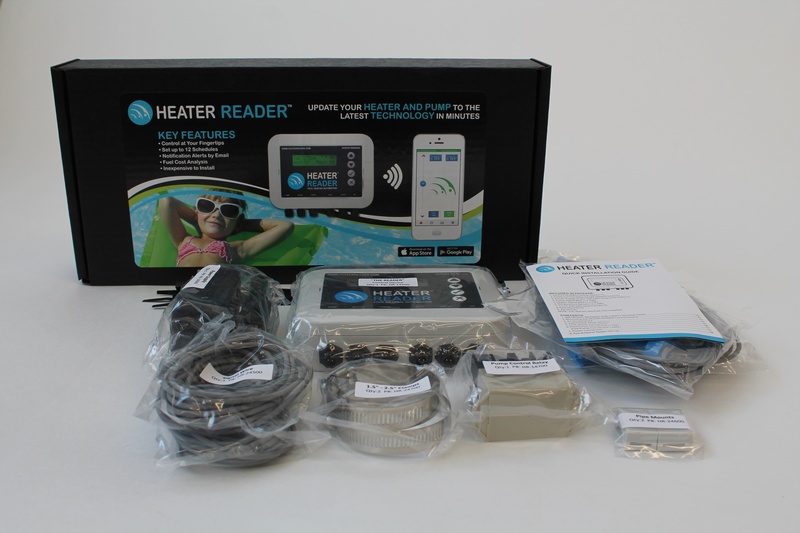 HeaterReader™ is perfect for homeowners who want to control their backyard pool from their smartphone for convenience and cost savings. Homeowners can purchase the HeaterReader™ directly using the button below or request local dealer information. HeaterReader™ is also the perfect solution for managing a vacation or rental property pool remotely, whether you have one or hundreds of property locations - around the world! Our Control Centre dashboard brings instant control to a property manager's fingertips saving time and money. Respond to any issues quickly with automatic notifications to help maintain your properties level of service. Find out more about Property Management pool solutions. Interested in becoming a HeaterReader™ Dealer? If you are a pool management company, you'll want to offer this smart WiFi pool solution to your customers. Find out more about here. With 7-day programming, you can set up to 12 personalized timers to meet your needs and help you optimize your consumption and energy savings. Get notified when your heater is activated, or when something is wrong. Heater didn’t fire when it was supposed to, a sensor failed or you lost your WiFi connection? You’ll know when it happens, in real time. Simple installation means you can connect your HeaterReader™ in just 30 minutes*. And there is no programming, no reason to tear up your landscape and no need to replace your existing electrical. Our App tells you how much it is costing you to operate your heater so you can adjust your schedules and save money! The HeaterReader™ is designed for the retrofit pool market and can be easily installed on any pool heater or pump system, inside or out. The HeaterReader™ lets you use your pool without having it running all of the time. As a result, you can use your pool when you want and reduce your carbon footprint (and energy bill) at the same time. The HeaterReader™ is virtually maintenance free once installed. Dealers and Property Managers can monitor their clients' HeaterReaders™ (with client consent of course). This means they will know as soon as something goes wrong and can monitor the heater and pump 24/7 without conducting manual inspections. We don't charge you to upgrade your software and updates are done through your WiFi - it really is simple! Find out how easy it is to install the HeaterReader™. Check out the HeaterReader™ Installation Guide today!